Irish vocal group Celtic Thunder‘s career has spanned fifteen years. The band, comprised of all Irish singers (okay, one is Irish-American), performs a variety of tunes, including Irish folk songs and other covers. They’ve had several PBS specials devoted to them. They’ve played venues worldwide; they’ve even played at the Pentagon. Although the lineup of Celtic Thunder changes, an early member, Damian McGinty, has returned for the Very Best of Celtic Thunder tour. McGinty, the group’s youngest member, left Celtic Thunder in 2011 when he won the TV competition show, The Glee Project. With that win, he grabbed a storyline on Glee. Additional success came in the form of his own EP and music label. Oh, and this was all done before he was twenty two years old. What made you decide to return to Celtic Thunder for the Very Best of Tour? 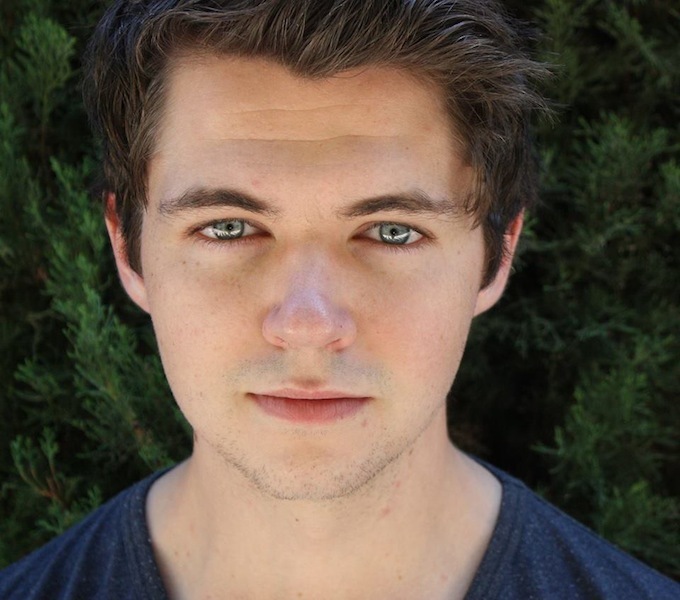 Damian McGinty: When the opportunity came up, we spoke about it for a while really. It was all sort of in the mixer for the second half of last year. I talked with my agent, and we thought, why not? This is something that I’ve always loved to do. I was flattered to be asked back. It started my off my career. It wasn’t that difficult of a decision. Do you remember your first performance with Celtic Thunder? DMcG: I do. The first ever performance was the show we shot in Dublin. That was the first time I ever did “Puppy Love.” I was fourteen years old – a little baby. It still sticks out in my memory as one of the best nights I’ve had as a performer. I absolutely loved it. It was great. Did you begin singing when in choir? DMcG: I was always singing from like, five years old. Not professionally, but I found a real love for it when I was five. Growing up, I was always in choirs, in competitions, in karaoke competitions. I never stopped singing, pretty much. When I was fourteen I had this amazing opportunity. It turned my obsession with singing into a career. Was you family supportive of your singing? DMcG: They always have been. My mom and dad supported me from day one. They love me singing, they love the idea of me doing what I love to do. It was never an issue. It took a lot of faith. I really appreciate what did they for me. I was fifteen years old and leaving for America for five months – without my parents. That’s a big step. What kind of music do you listen to on your own time? DMcG: I love the Coldplays of the world. . . Damien Rice. DMcG: Thank you. We thought we’d have a little fun with it and make it a bit electronic. I like your version more than Snow Patrol’s. 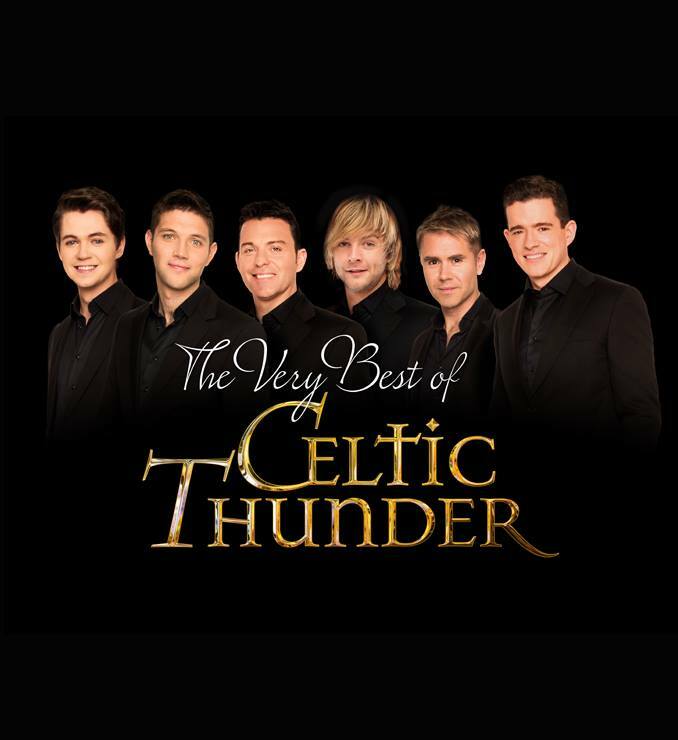 What about your songs with Celtic Thunder? What are some of your favorites and favorites to sing? DMcG: “Heartland,” which is our opener. That’s one of my favorite songs. I think it’s pretty epic. It has a big part to play in the success of Celtic Thunder because it’s the very first impression people get when they come to a show. “Caledonia,” “Ireland’s Call.” Personally I love singing “Come by the Hills.” I sing bits of that in Gaelic. I love singing “Home,” which is a Michael Bublé song. In some of the songs I was a lot younger, and it wouldn’t necessarily be what I would be singing as a solo artist, but revisiting the songs a little bit older has been a lot of fun. Was it scary when your voice changed? DMcG: Absolutely. You’d be terrified, I’m not gonna lie about it. I’m not gonna try to be cool. It’s a pretty frightening experience. One day you can hit a high F and the next day you’re lucky if you can hit a B. It’s a patience game. There is an element of luck, but you need to look after your voice at that particular time. You have to be careful because if you strain and push your voice when it is in the process of changing, you can do lifelong, career damage. Even now – I’m 22 – my range is still expanding from where it was when my voice initially broke. I can hit a lot higher notes now than when I could five years ago, and likewise with the depth of voice. It can go a lot deeper. Are there plans for another album? DMcG: I’m currently working on my debut record. I’ve been in the studio a lot in LA, doing a lot of writing, producing. That’s been a lot of fun. It’s been a different experience, being creative in a six-hour writing period. It’s actually more draining than anything I’ve ever done. Anything you write, you’re putting a little of yourself into. It’s a very fulfilling experience. I want to make sure it’s right. I would imagine I’d have something out next year. Do you think you will do more acting? DMcG: Someday. I’m doing a lot of acting lessons and taking dialect coaching to open up more opportunities in American roles that maybe one day I’ll be able to do. I’m planning to keep a few eggs in that basket. You’ve visited Seattle before. What are your impressions? DMcG: I’m not afraid to say it: Seattle is one of my favorite cities in America. I find the people are so friendly. I love the weather, the city itself. The weather is very much like Irish weather. Sunshine is nice, but it can get a little old. One more question. What is your favorite food? I have never been to Chick-fil-A. DMcG: You’re American and I’m an Irishman. How have I been to Chick-fil-A and you haven’t? Celtic Thunder plays the Paramount on Sunday, March 8th. Written by: Dagmar on 03/06/2015. Last revised by: BBS, our reviewer, on 03/07/2015. This entry was tagged celtic thunder, damian mcginty, posted by dagmar. Bookmark the permalink.